When doing experiements in your classroom, how do keep the class learning and having fun,while still keeping order in the classroom? I really want to encourage collaboration and a lot of inquiry in the classroom, but I'm also afraid that the class can easily get out of hang and off task. Already have in a place a concrete classroom management program. Especially, if dealing with older students have the contract they signed earlier in the year and use it to remind them that this is a collaboratively effort, yet not the time for horseplay or socialization. Have zero tolerance for any misbehavior that occurs in the classroom. Hope I helped. Thank you for posting this! I am a student teacher and I have had the same concerns & worry about the same things. I really want science to be hands on and interactive, but I want it to be structured and productive at the same time. All of the help and resources mentioned are helpful! I agree with what others said, having a good classroom management system in place will help. But also do not get discouraged if the class seems a bit out of hand the first time around. This will take practice and the more you do it, the smoother it will go. I feel this is especially true with the younger students. In my graduate level science methods class for teaching credential students, we learned that setting ground rules is key for any experiment. We also learned an assessment called a "gallery walk." When students are giving feedback through post-it notes, we learned that we should give student sentence frames on giving "respectful feedback." This helps students learn to give meaningful feedback without hurting any feelings. Have a management plan already in place before you start doing experiments. This should be established on the first day of school. You can always use a reward system. My classroom has a jar of beans and when they fill it up, they get a party. But when they mess around and misbehave, they lose recess time. They know not to goof off because they value their recess time. It works out pretty well. We also have a behaviour chart where their names move up and down if they have a good or bad day. I posted a response to someone with a similar situation. I suggested having roles for the students in the group so that each student is responsible for a certain task. I would go around each group and ask questions and see what they are doing. I would also tell the students that you are going to have them explain their experiment in front of the whole class so that the students are able to know that expectations are required of them. I think that classroom management while conducting experiments is established before the experiments even begin. Rules, procedures and safety guidelines should be established in the beginning of the school year. Have students practice the procedures and make it a routine for them so that they know what to expect when actually conducting their experiments. Hilary, This is good question. Often times, I think teachers are nervous to try new and fun things in their classroom because they think that their students will get out of hand and off-task. I, however, believe that if the the lesson is planned well, the expectations are made known, and the lesson is fun and engaging, the students will participate and be more engaged than many other times. Students like change and to try something new. Don't let your fear about classroom management or lack thereof, be the reason that students aren't able to complete memorable activities that could really enhance their learning. I think establishing rules for the classroom and rules for experiments is first priority. The rules should be posted and known by all the students. Also, having safety rules because some experiments can be dangerous if not properly done. This is important for teachers to establish to keep the environment safe and students safe. I recommend treating science experiment time the same as any other time as far as management strategies go, but remember it's going to get loud and look crazy to an outsider at times! Noise and movement can still mean there is good learning going on. I always try to keep a close eye (and ear) on things to make sure the noise is productive talk, not just yelling or nonsense. I am currently in a course about Classroom Management, here are a few tips that might be useful! 1. Assign roles: When you give roles to each student, it makes them responsible for the whole group and is a great way to keep them focused and on task when roles are assigned. With that having an end product they have to turn in helps as well. 2. Setting Classroom expectations: This is probably a given, but by setting them up and always going back to them can help with that. I personally feel to make classroom expectations work it is important to have a positive classroom environment. 3. Allow choice (within reason), so they can be interested in what they are working on and feel a sense of ownership. Those are a few tips I have, I hope they help! But I completely agree that collaboration and inquiry work should be within the classroom. Hi Hilary, I am currently in my last year of school and taking my methods course for elementary science. We spent some time working on ways to make science rules more fun and motivating. We learned and discussed to create these as a class at the beginning of the year and change them throughout the year as needed. What we did specifically was we focused on Establishing a Culture of Positive Talk when discussing as a class. My group came up with our "Scientist Expectations: 1. Everyone has a voice 2. Elaborate on reasoning 3. Have an open mind". Setting these helps keep the class be a positive learning environment. Hope I helped with this small classroom management tool I have just recently learned! -Madie M.
Classroom management can always be challenging, but in an inquiry based classroom, it does seem like it would be easy to lose control and spiral into chaos! I've found lots of great classroom management resources in the Learning Center. Among them is the article Managing Inquiry-based Classrooms. This fantastic resource outlines some great, yet practical, ideas for implementing and managing inquiry-based lessons. This was an interesting article! I will be student teaching next semester, and I think one of the most difficult things so far as far as practicum experiences go is that we do not have much control over the usual classroom management procedures. Sometimes methods I try do not always work, and I have to remind myself that I do not have as much time to implement certain classroom management techniques in practicum classrooms as I would in the classroom I will be student teaching in or in my own classroom - and consistency from the beginning of the year was an important idea from this article. This article was really interesting. Thank you for posting! I agree with Betty. Plan, plan, plan, and organize, organize, organize. Make sure you have all the materials necessary for the lesson in strategic places around the classroom. Have everything you need at the front near you, and everything the students need at their tables. Have a student at each table be a designated "materials manager" for the day or week, set expectations for activities, and stick to those expectations. Good luck! I personally have found the "old-fashioned" Johnson and Johnson strategy of assigning each member of a cooperative group a specific job to be the most effective way to engage all members of the group in constructive learning. Let us know how it's going, Hillary! During my student teaching and now as a teacher, I've found that classroom management is one of the most challenging parts of teaching. It's hard to find the balance between an organized yet creative class and complete chaos! One of the best classroom management resources I've discovered is First Days of School: How to be an Effective Teacher. It is an outstanding resource that is full of great ideas and advice for effective classroom management. It's still my "goto" classroom management resource. 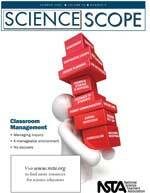 I found this article Classroom Management: Setting up the Classroom for Learning in the NSTA Learning Center. The article echoes several of the techniques introduced in Wong's book. Good Luck with everything and be sure to let us know if you need help with any specific parts of classroom management! What great resources, strategies, and ideas for classroom management during inquiry activities! As a future educator, I really want to incorporate inquiry into my lessons and although it might be tough at first to give the students the control, I know it will be worth it in the end. Hi Hilary, I have some wonderful simple ideas. I teach K-5 and so I've had to adapt the management style based on the age of the children. My answer is quite comprehensive based on the individuals in the class and the 'activity' that you're doing. Feel free to email me @ heymissryan@gmail.com with more specifics about the activity and age range etc and I'd be more than willing to help. Hi All! Here is a collection of resources on classroom management that I compiled in the past. Your great responses to the initial query show that there is always more to add. Thanks to everyone for sharing. Thank you for sharing your collection of resources on classroom management. I can definitely relate to the original question in this thread. I love teaching science, but students can get extremely excited and things get a lot more out of control than normal. I'm only speaking from student teaching experience, so I hope to use these strategies when I become a teacher to ensure control of the classroom while students are having fun and learning. I would make sure there is an understanding of how you expect them to act while they are in the classroom. Make sure they know that if they to do not follow these rules what the repercussions are. To help with classroom management when conducting experiments or labs, it is important to make sure they students are completely aware of all the steps and safety precautions. I believe that the classroom can be a fun, interactive environment as long as students stay on task with the lesson. I would walk around the room and interact with the students to ensure they are behaving appropriately and safely. Classroom management is always a tough thing to handle. The students are unpredictable and no one can guess what problems they might have. As a teacher, you're going to have to come up with every possible scenario and find ways to properly handle each student individually and the class as a whole. Either way, the situation is tough but it is not impossible. Try to know the students personally and get to know what they like. It will take some time but I can definitely say that it will pay off in the long run. In order to ensure classroom management is to teach the procedures and rules of the classroom at the very beginning of the school year so they know the routine. When conducting a new activity, however, that adjusts the rules, the idea is to make sure they understand the rules for that particular lesson and possibly practice procedures with them. For example, if you're going over safety rules, you could show them where to go if something spills of them like the sink. Also, if you have the materials ready to go, it will make it easier to control the classroom since you won't have to lose their attention to grab things. I agree! Clear expectations and procedures is key. Before you set out materials and begin your lesson, you have to make sure to go over very specific rules. Also give them consequences for breaking those rules. If you asked the students not to touch something, and they did they might not be able to participate anymore. Be consistent!! I would like to share a reward system I discovered during my field experience. It was great to see how well students react to a reward system. I must say, I believe reward systems are a great way to keep students engaged and motivated. During my field experience, I witnessed a fourth grade writing teacher use a reward system that she named "The Marble Game". The teacher had the students sit in clusters and created table teams. The students each had a cup with their table number written on it. The teams would earn marbles for staying on task and following directions. For instance, during transitions, the teacher gave marbles to the groups that were ready for the following lesson. On Fridays, the teacher counted all the marbles in each cup and the team with the most marbles got to pick an item from a treasure box. The reward system the teacher used motivated students to work as a team and stay on task throughout each day, it seemed to work effectively. I agree with what many people are posting. Explaining your expectations for the students before even setting out the materials is vital. Dedicating a material's manager within each group is helpful for the students. Letting them designate their specific roles during the experiment is also helpful. I've noticed that once the experiment begins, the majority of students are so intrigued that they are focused and remain on task because they want to see it through to the end. They know the consequences that can occur based on negative behavior; since they want to see it through, they're on task. This has been challenging for me but I try to prioritize open-ended questioning, to avoid right or wrong answers, and peer grouping to increase engagement. I'm willing to accept a louder more chaotic classroom environment during experiments and make sure I hustle to provide proximity control to ensure safe conditions. I have found (by trial and error) that "guided" independent work is best! For example, I explain a step of the experiment, let the students complete the step, then regroup with the class. We then would move on to the next step. Sometimes I even give them a time limit for each step to keep them on task. Setting expectations, using roles for each student in the group, etc are helpful. I find most important to keep moving around the room and positioning myself so I can see most of the room as I'm working with an individual team. I limit who can be out of their seat from each team, and methods of resolving conflict within the group, before they get me involved. Hi Hilary, Just reading through your thread I found a lot of helpful tactics when it comes to classroom management. As a college student, I worry about being able to find a balance between a fun classroom environment but also a productive one. I think as teachers we are going to have to do a lot of planning but research on our class as well. Every classroom is different in its own way, and I believe that using multiple resources to pull together a tailored plan for your specific classroom will benefit you and hopefully your students as well. Goodluck! Before the experiment begins it would be smart explain the procedures in depth and assign each student a specific job or task to complete. It would also be fun to make the experiment a competition so that students would stay on task and be excited about learning. What strategies are good to get your students attention during an experiment? I have found that students love inquiry based lessons. They get really excited about experiments. Therefore, you need to tell them that in order to be a good scientist and be able to do the experiments they must follow the rules. You should have these rules posted in your classroom; reference them before beginning anything science related. Hi Lisa, Yes inquiry based lessons is highly important for science teaching because it is a meaningful learning and allows students to think critically. Through inquiry instruction students are given the opportunity to explore their own learning by doing research questions in which they have to investigate, collect data, and analyze that data. When students are performing these process skills they are discovering something, finding the explanation of their research question, and being engaged throughout the learning process. Inquiry based learning, classroom set up all are important in keeping structure during a science lesson. Tiered learning is another component you might want to tapper into. It's hard in the beginning, because you must assess students levels prior to have an understanding of how things will flow. Based on group based learning, students must be grouped appropriately. It's important not to have a wide gap of levels within the group, or else it will be out of balanced. I believe it's important for students to converse in groups, other than critical SEL components that can be intertwined during this time, students gain insight on various perspectives which fosters inquiry. Once students cohesively work together to finish a lower level activity, they will work on the next project that is still connected with the previous assignment but a it more rigorous. This allows all the groups to work at their own time, but at all times. Thanks for the question! Great question! Hello, I am a student teacher currently, but my cooperating teacher uses a lot of positive reinforcement in order to get the students to stay on task. She uses jewels that the students collect in order to get to go to the treasure box. The students table groups also have a bucket for jewels as well. During hands on activities she tells the students that she will be walking around with the jewels and whatever tables are staying on task and doing the activity she will give jewels to them. It seems to really help the students stay focused and not get out of hand when the activities are really exciting. I think that one idea to keep things on track is to have voice levels in the classroom. You can also have each student assigned to a job. One student should be the time keeper, one should be the student who keeps everyone on track, and one can be the student who is assigned to asking the teacher questions. This one student is the only person who can ask the teacher questions. Thanks for the awesome ideas I was having trouble with this as well. I would suggest allowing the students to have very defined roles and responsibilities so their focus can be on their task and so that they won't get out of hand. Of course it would be helpful to have some sort of consequences system set up in case students are still of task...they could lose their privileges to carry out their assigned role. Students, especially younger ones are very excited once they have a job of their own so you could maybe incorporate that. I am also worried about this in my classroom. I think it's important to give students activities that are meaningful to the content, as well as interactive and fun for them. Also, if we give them jobs and make them accountable for their actions, they will be more motivated to stay on task. These are some great suggestions, I will definitely implement these in my future classroom. Interesting topic! This really helped me during my pre service experience! Thanks. It is hard to keep students organized and calm when they are so excited about doing science experiments. Thanks for the great ideas! In my classroom I have found using my Ipad a great deal to help. I connect my Ipad to my Smart board and connect my camera to it. So when I am doing a demonstration or an experiment that limits my movement, I pop it on my Smart board so all my students can see without getting ants in their pants and moving to see what I am actually doing. I have found this to help! I believe staying actively engaged with them is the key. Using a 5E lesson plan can really help you facilitate a lesson. It involves random and critical questioning as well as independent discovery time. I agree with the having a contract idea. Have students create a contract at the beginning of the year so they know what is expected of them and that they'll receive a consequence if they violate that contract. I have seen that students love inquiry learning. I feel that one of the best ways to keep the classroom in order is to have some set rules. It is important for you as the teacher to tell your students what you expect from them. In addition, walking around the classroom to work different groups and interacting with different groups helps keeping the students on task. I am currently studying to become a teacher so it was definitely great to get real life examples and real world advise as to what to do during experiments to ensure the students are at their best behavior and that the class is actually getting the work done. Classroom management is extremely important and even more important when the students are dealing with experiments where they can easily get hurt or hurt others if they are not using equipment properly. Thank you for posting this. I am currently a student teacher and sometimes struggle with the same problem. From my experience, it is best to have set expectations for students and be vocal about them (especially with younger students). I am teaching 2nd grade right now and have to remember to continue telling students what is expected of them. I also find that it is easier to handle if you model the activity or experiment with the students instead of just throwing it at them. I also try to be aware of what students I am pairing together. This not only helps with classroom management but it can be very beneficial to students who need extra support. This is a great concern to have prior to a science lesson that requires movement, conversing, and engagement. I believe that the best way to control behavior in the classroom is to set standards before going into anything. Rules and expectations are being constantly reminded in my kindergarten class and I saw the best results when I asked the students, "How are we supposed to behave during ____?" The students share what is expected of them and demonstrate these actions as an example. I agree that classroom management can be a daunting task, especially during science. Students tend to get very excited during science due to it's engaging nature, however use this to your advantage! If students are engaged and talking a lot, remember that this is a good thing as long as they are talking about science. I think that an important thing to do is always prep all of your materials ahead of time and have them easily accessible so you are not walking back and forth or checking drawers during the lesson. Loving all of these replies. They are all so useful! Thanks everyone! I think teacher should go over the expectations before the experiments. Also, I'm a student teacher, and my university supervisor advised me to tell the students that they need to keep whatever they do in their groups a secret to other groups. She said it's going to help with classroom management because kids love secrets! I agree with what many others say, consistent class management strategies are needed in order to create a successful and cooperative environment. If you say you're going to enforce a consequence for whatever behavior, you must carry that out. Students learn quick when you do not mean what they say. Once you get your desired environment, hands on activities and experiments will be more structured as desired. I think classroom management has an impact on how productive the day goes. If one has to constantly go over routines much instruction time is wasted. Perhaps one can review the routines and rules quickly before the lesson, but not spend too much time. I had a successful lesson and even enough time to take the students outside for exploration and observation notes. I have this same problem as well. I conducted a science lesson with experiments a few weeks ago and the students got out of control! I suggest setting clear expectations before you begin your lesson and give consequences for breaking those expectations. I am a student teacher, but had to give a science lesson to my kids. When I did I found they did not know how to properly follow expectations. When I am in my own classroom what kind of choices can I make so the lessons/labs run smoothly? I am a student teacher and Classroom management is something I constantly struggle with especially when doing inquiry based learning. Since my students have not have exposed to this type of learning they have a difficulties containing their excitement and following directions. I've attempted at least three inquiry lessons and each has been less successful then the last. At this point I am ready to give and go back to "traditional" teaching. Any suggestions on how to improve my classroom management? Remember to go over lab expectations beforehand. It reminds the students what the rules are and it reminds you what you are looking for so the students don't get out of hand. Something that I do with my students is to always go over the main classroom expectations before we start class. We have our five main rules which covers a lot of situations so go over them beforehand always helps. If something were to get out of hand that pertains to one of the rules, you can ask them to repeat that rule so that they have a reminder. It's quick and does not take away from instruction. It is important to set high expectations with your students and model with them examples of how you should act while you are doing a lab. Stay consistent with consequences and rules and make students accountable for themselves and each other. They are always more adapt to do something if their input reflects their peers. In my Science classroom each student in a lab group has a specific job. They range for Materials Manager to Time Keeper. This avoids arguments, such as, "I'm doing this!" or "Why does she/he get to do that?". The best way to solve this is to have jobs for students. When collecting or distributing materials to students, have 2 students or a student from each group of your doing groups, collect the materials. Also having them engage the whole time by asking them questions to check for understanding. Taxi then a special word or phrase to warn them when they are getting too loud and need to lower their voices. Mostly just making sure students are on task and modeling the experiment before you send them to work by themselves. One thing I have recently learned is that a strict classroom needs to be established right from the first day. As long as students know what their expectations are ahead of time, they must be held to those standards throughout the activity. Also it never hurts to point out the positive behavior and work ethic when you see it. Classroom management is important no matter the subject. Students need to know what your expectations are. If you are too lenient at first, you will have a hard time getting their attention. It is important to establish your guidelines immediately, and most of the students will respect this. I also highly encourage the use of positive reinforcement. I am consistently saying, "Thank you ____ for _____" and "I like how ____ is ______." This was a great post! I look forward to using what everyone shared in the forum in my classroom! It is very easy for students to misbehave during experiments. This can be due to the fact that the students are so excited that something new is going on that they simply do not know how to act. To avoid this, I have had several teachers go over the rules for the entire class period the day before. My teacher also did an example of the experiment so students have a guide as to what they are doing. Before doing the experiment, you should briefly review the rules that you spent the whole class going over the day before. The teacher should also make the consequences clear to the students. For example, after one warning you will go to another class and miss out on the experiment. If students are constantly doing experiments, the likelihood for misbehavior will go down since they are so accustomed to the behavior that is expected of them. Teachers cannot control a child who wants to act up, but they can control how to respond to it. I think that assigning individual roles in the classroom would keep order within the classroom as well as allowing the students to take ownership of their learning. As the students are encouraged to take responsibilities in the class, they will feel as though they are contributing and will develop an intrinsic desire to do well. What a valuable question! I am a preservice teacher and have thought again and again about the same issue. I have seen a lot of teachers with classrooms that get noisy and loud and to an outsider might seem like utter chaos, but I think it's so important to remember that noise and movement often times signal engaged students! Other tips I have heard are of course constantly circulating the room, posting the instructions in multiple places and in different forms (pictures and words and verbally in the beginning of the lesson), and assigning kids to certain jobs one of which involves keeping the groups on task. But it was fun for me to read everyone's different answers to this as well, and I will certainly put some of them into practice. So far in my teaching experience, I have learned that you need to give and take. Especially with science where there is so much to explore and discover, the students need a bit of that freedom to really get interested in the activity at hand. As many have already said, make sure you have a classroom management plan already set in place so you can easily gain the students attention when noise level or thinking has begun to stray from the focus of the lesson. Just keep in mind, the students need a chance to really experience the experiment! Talking and excitement are normal traits to find when studying science, so hearing some chatter and surprises by the students themselves is always a good sign that what they are thinking might or might not have worked. With the amount of freedom you are giving them, remember that you should be receiving the same amount of respect for the established rules that are already set in place. So just be balanced! Give a little to get a little back and you will soon see how excited the students will be from making a discovery in their own way with interactions with their fellow classmates. Hope this helps! This topic is probably what I am most concerned with as a pre-service teacher. I know I can understand the content, but does good classroom management simply come with experience? I am wondering what resources I can utilize so that I can foster an inquiry-based science environment, but also maintain control and order in the classroom, especially with younger students. What are some suggestions? These are all such great ideas! I'm currently a senior for elementary education and will soon have my own classroom. I will definitely keep these in mind for when that time comes! I agree that these are all great idea! There are also many books that provide suggestions for classroom management and an example is The Classroom Management Book by Harry Wong and Rosemary T. Wong. I would definitely recommend it! Hilary, I think if you have your students set up in groups that it will be easier for you and then the students won’t have to be moving around all the time. With this set up, the students are already to be set up in groups and will be able to work and collaborate while sitting in their seats. The only issue could be the volume of talking in the classroom. If it gets to loud you can have the students quiet down with turning off the lights or count down from 5 to retain order. I got this idea from a friend and master science teacher: she had a chair in her classroom labeled Pluto. When a student could not participate in an activity due to behavior, he or she was sent to Pluto. As we know, at best it is far far out in the coldest regions of the solar system. At worst it is now a minor planet. I find that my students police themselves well. People causing disruption to an activity irritate them at least as much as they irritate me. When students are fully engaged, they don't like interruptions. Peer pressure is much better than my pressure. I am a pre-serivce teacher and reading this post and the responds to it were very beneficial to me. Classroom management is my biggest fear when going into the classroom and having classroom management during science experiments I feel is going to be very hard. I like the idea of having classroom science rules so the students know that they are specific and important when doing science experiments. As several others have already said, the best way to tackle class management is with a good plan. The time and effort put in before the actual experiment pays off. Assigning jobs, coordinating groups, and having all supplies ready to go are all helpful to class management. Thank you so much for posting this question. I am currently a student teacher and one of my main issues, is classroom management. I feel better that I am not alone here. I realize that I should remind students what is expected of them, more often. Although I know how to mange children, I find it difficult when I have other teachers watching my every move. I also feel that since it is my mentor teachers classroom, I am constantly making sure things I do are okay, which lessons my authority, in their eyes. The advice given here has been very helpful, though. I think having classroom rules for not just everyday but also for science is something that should be established right away. Safety is a big thing is science if you are doing an experiment, so making sure your students know the rules in the class before even getting start would be great. Classroom management is always a tough thing to do sometimes, so I am glad you brought this questions up!